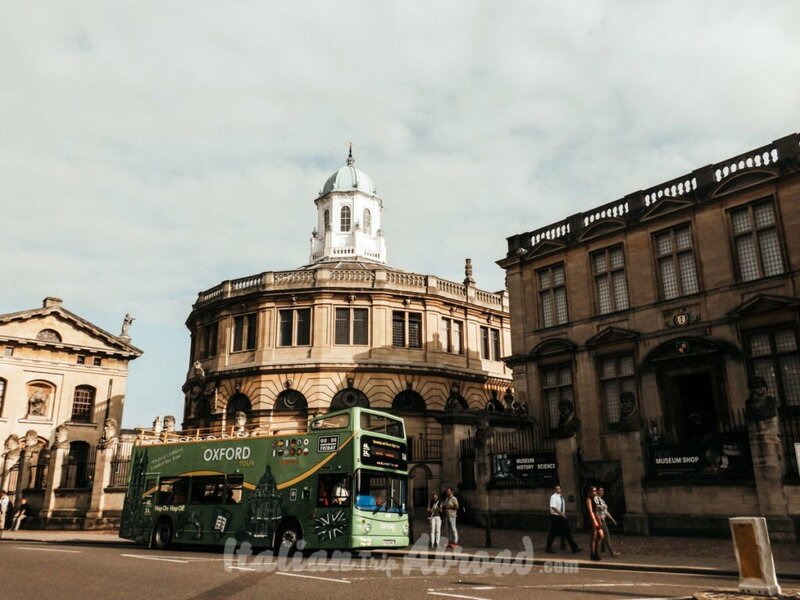 Oxford one day itinerary is your way to explore one of the most known city in the United Kingdom, where is locate the famous University complex. Sometimes we feel so overwhelmed from our routine here in London, the tube always crowded, and full fill. Doesn’t matter how, but sometimes we have to escape from the daily duties, just finding a perfectly peaceful spot somewhere. It is happening not just to us, we believe. It is for everyone. 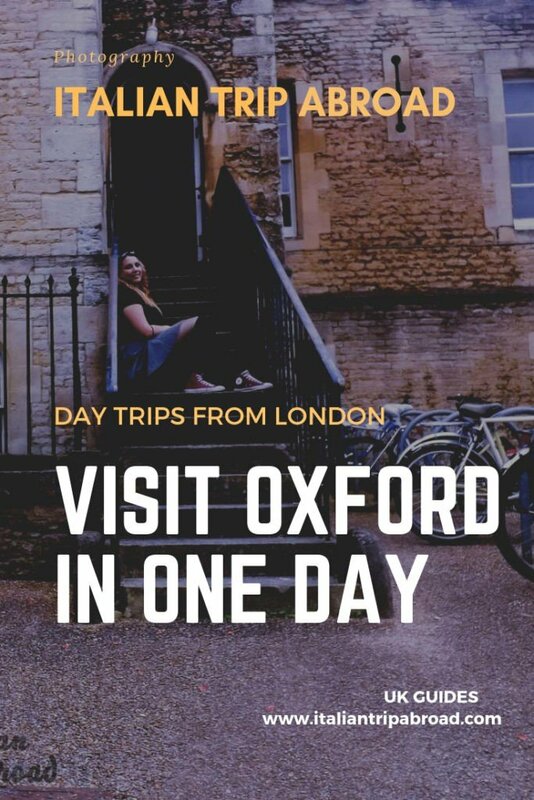 All you need to know about Oxford one day Itinerary is Here! 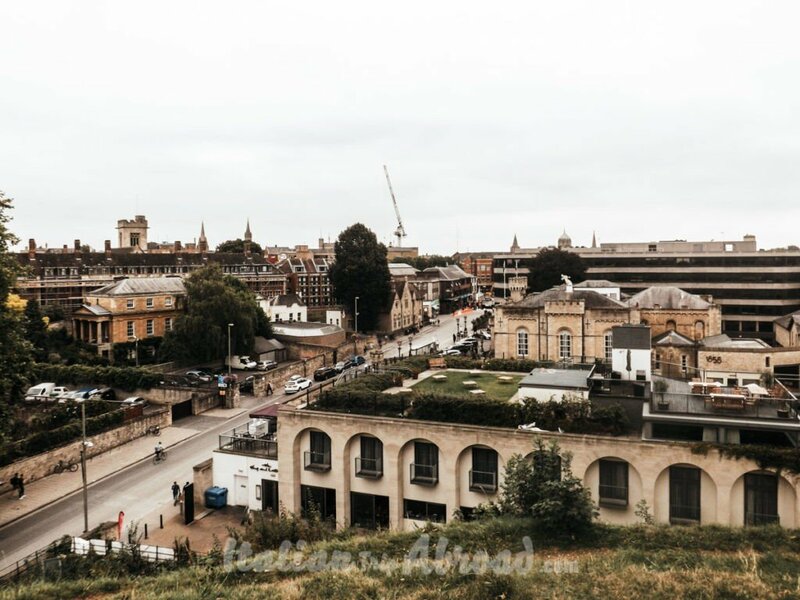 Oxford is a perfect day trip from London, a relaxing and chill day out. 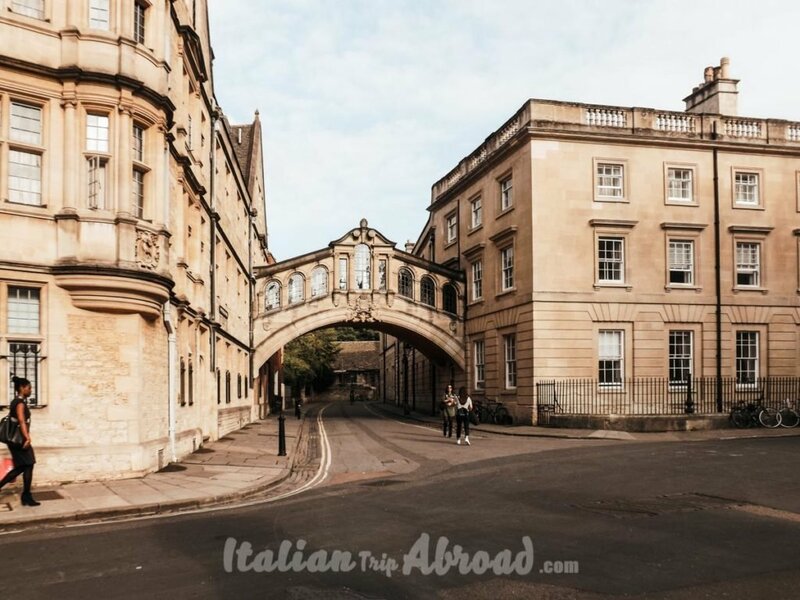 Five things you have to put in your bucket list visiting Oxford in 1 day. How far is Oxford from London? The Oxford one day itinerary will be your best guide to the British city out of London. Oxford is the perfect relaxing day trip from London. Doesn’t matter if it is a family trip or an escape from the routine. 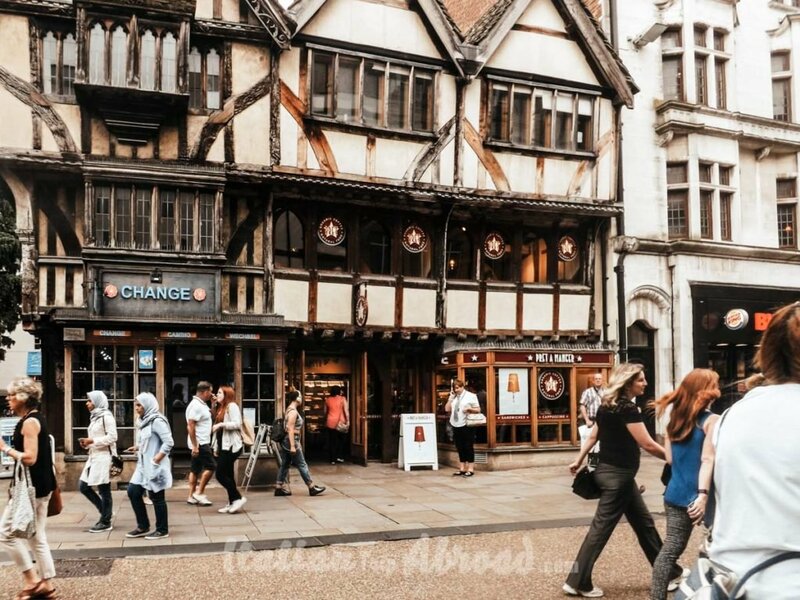 Oxford is simply a peaceful place where enjoy the food, calm and do shopping. Due travel is too expensive time to time, or even you want just to recharge your battery for another week. You want to escape quickly from the regular life and find your nest. 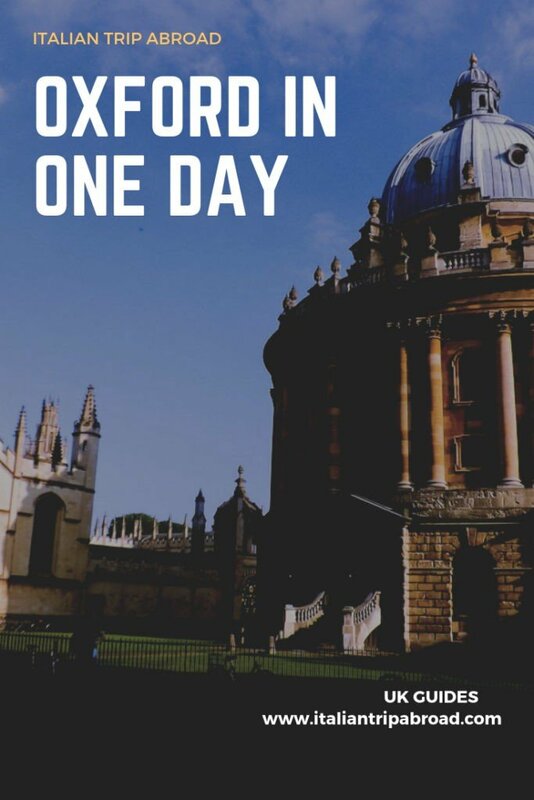 So that’s why plan a perfect Oxford one day itineray, is the best option for your body and your mind. The slow life rythm of the British town give you the chance to feel to be on holiday, even if it is just for a day. Oxford is the basic day trip from London. It is easy to plan one day in Oxford, or even a two days in Oxford. If you are a fun of the weekend trips, or you have just the last two days of the week available to travel, it is the good, not far spot from London. You can think about to visit Oxford even if you are coming to visit Uk for the first time. This is the best option, out of the multicultural London to understand the British life in deep. 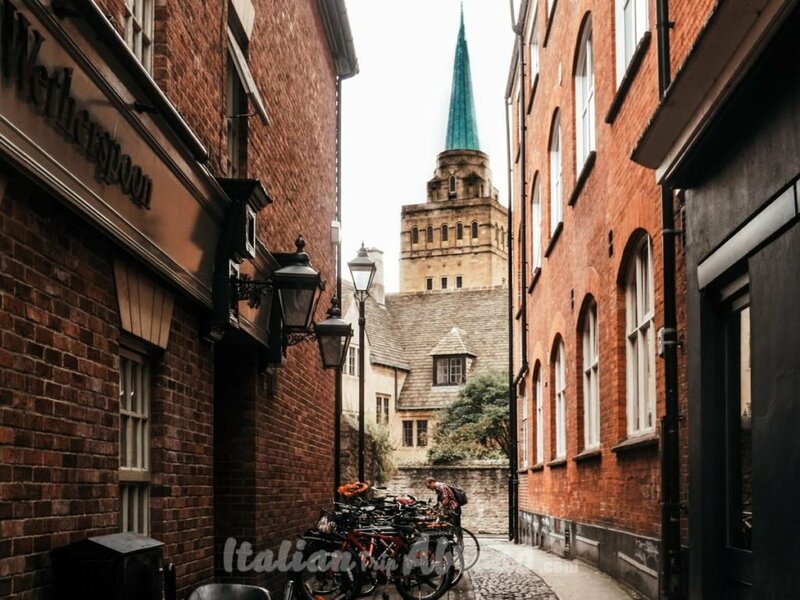 Reach Oxford is easy, it is not far from London, in 1 hour and a half by train from the main stations of the big city, it is possible to go for one day in Oxford. It is not even expensive, we have done our day trip to Oxford for the ridiculous price of 10£ return. It is 5£ each way for a single day in Oxford. Taking a couch from London is maybe even more beautiful. Your journey will be a bit longer, but you can enjoy the amazing landscapes of the countryside. 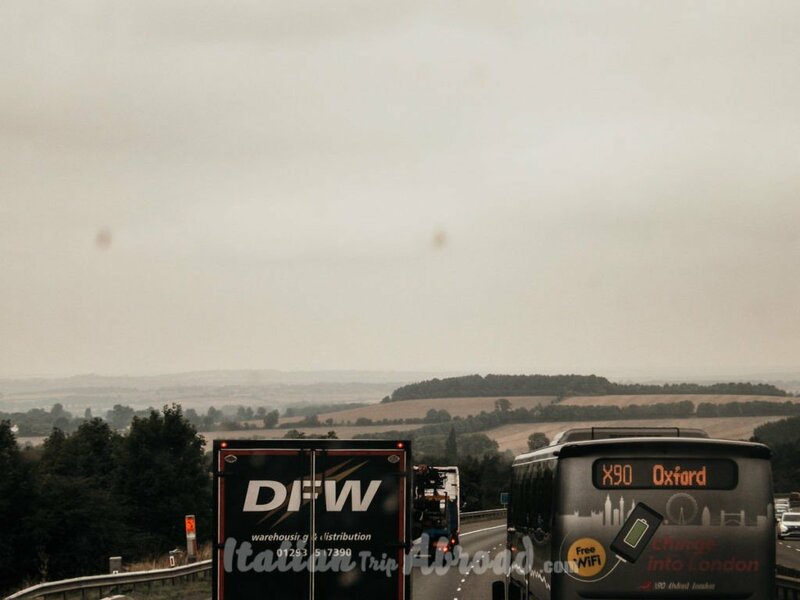 On your way to Oxford from London, you will pass by the amazing Buckinghamshire and the Oxfordshire countryside, enjoying the beautiful view, doesn’t matter which season it is. Your journey from the High Wycombe to Oxford is looking through the green side of the Uk. You will have your first great impression of Oxford, passing by the famous colleges. In fact Oxford is not made up by a unique University complex. It is the oldest University, where have born the traditional dictionary of English all the World are using. Yes, even me and Alessia when we were at school have used it in Italy, our Home country. We were trying to organize our 1 day in Oxford as best as possible, and go thought the best things Oxford has to offer to the visitors. We will absolutely underline the Architecture of the British city. Passing by the Redcliffe Square, with the impressive Redcliffe Camera, the circular building in the middle of the Square, will take you there for hours maybe. It is the home of some of the best brain on the hearth, you will pass by the Bridge of Sighs, where all the students goes for a photo or selfie after the degree. The Bridge of Sighs is just a deck between two buildings. But it is architectural amazing, and you can find even a romantic aspect on it. Oxford is made all up from the most notable students at the University. Sir Christopher Wren, was a former student at the University of Oxford, he designed the spectacular Sheldonian Theatre, a complex of the 17th Century. Not all the doors of the University of Oxford are open, but some of that open the entrance to the public everyday, some others, just in dedicate days. While the interiors of the elite university are really magnifique and breathtaking, the gardens around, and the secret gardens are the true gems. Some part of the University of Oxford are open to the visitor upon pay a small fee. The fees could be going from 2£ to 10£. You can visit some of the internal areas of prestigious Buildings such as the Christ Church. One of the oldest colleges of the Oxford University and even one the oldest. Point those Oxford Sightseeing on your list. It is the perfect way to start your Oxford self guided walking tour. In your one day visit to Oxford you cannot miss the Covered Market. It is a complex of over 40 shops and food stands. It is covered, so you can use it as a good spot where chill and relax even in a raining day (thing which happen quite often in United Kingdom, the weather here is not clearly forecastable). The Oxford Covered Market is absolutely worth to be visited, it is an old fashioned market, with impressive architecture. Some shops and food spots are really old, and keep the tradition of tasty food and incredible ingredients. The Cheese Shop, call The Oxford Cheese Shop is the famous spot where stop for everybody. It has various kind of cheese from everywhere in UK and over. For a full immersion in the Covered Market, stop by the Cake Shop. This is also one of the best spot where take shots with your camera. The shop has got a big window, where great master cakes are preparing delicious pieces.. There are a lot of way to explore Oxford. 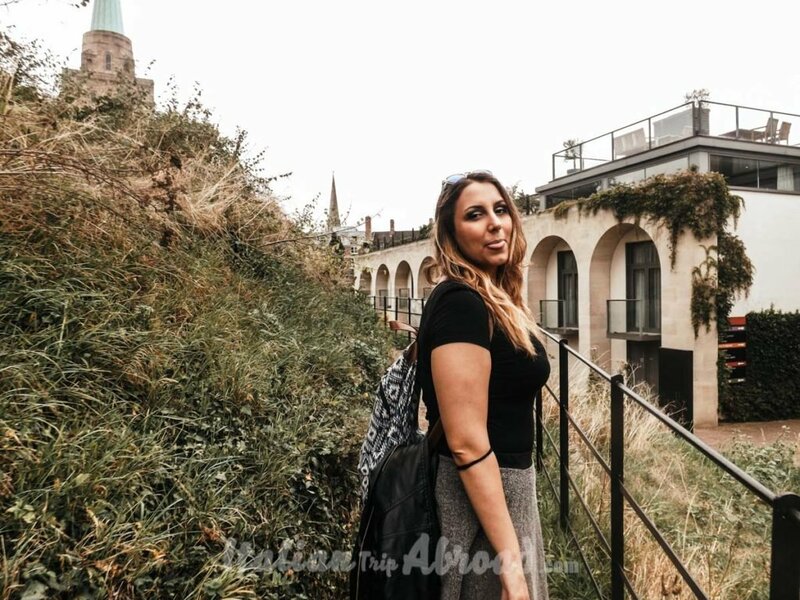 We don’t aim to have the best Oxford Travel Blog tips, but we are happy to help travellers to have an average idea on what are the Oxford things to see and do. Even if you are planning to spend 3 days in Oxford you will be able to fill your list as much. The city is small, but rich of history and culture. 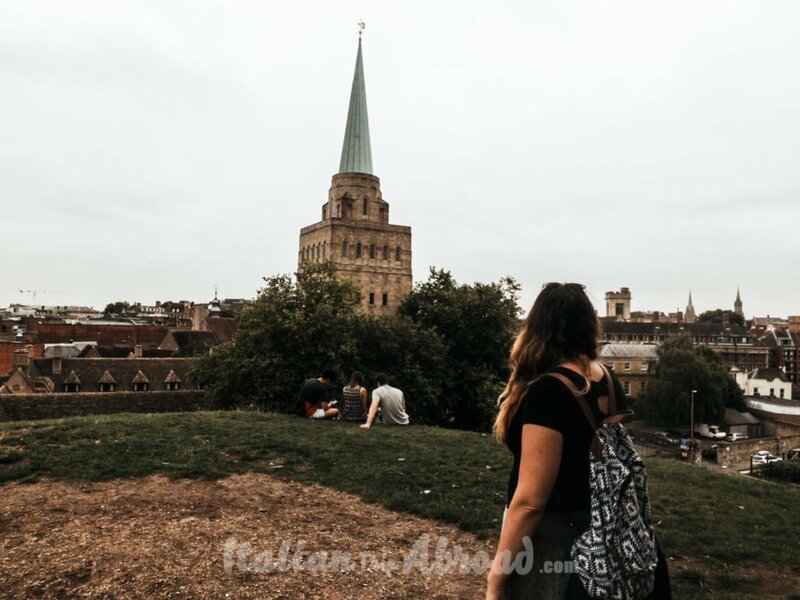 We suggest to follow those few steps and make your own Oxford self guided walking tour. Enjoy your Oxford University visit. If you are an Harry Potter fan, you cannot absolutely miss a visit to Oxford. Not everyone know, some of the best location in the famous movie, have as scenario Oxford. Are you ready for your Harry Potter Tour Oxford? Oxford is not only the filming location for some of the Harry Potter Saga, but it is also where the producers source the real inspiration for the films. This will be a guide to the Harry Potter Locations to visit in Oxford, try to write it down, and don’t miss any. The Great Hall is absolutely the first you need to visit. It is where the movie starts. Harry Potter wasn’t filmed here, in this hall. But this place gives the inspiration to recreate a kind of Great Hall similar in the studio. This Great Hall is located in the Christ Church College, and it is amazing. New College Tree, Bodleian Library, Duke Humfrey’s Library and the Museum of Natural History. Those are some of the location used or that gives the inspiration for the movie. One of the favourites is the Duke Humfrey’s Library, it is in the first Harry Potter, where he enters into the library under the invisibility cloak to steal a book. Not all those places are open to visit, some need a tour guide, and most of them cannot be filmed. Be aware. Oxford is not a big city, it has a great history and a big name around the World because of the University and the colleges. It is possible to visit it in just one day and take the best of the traditions of this place. Oxford in one day is an absolutely pin on your map. 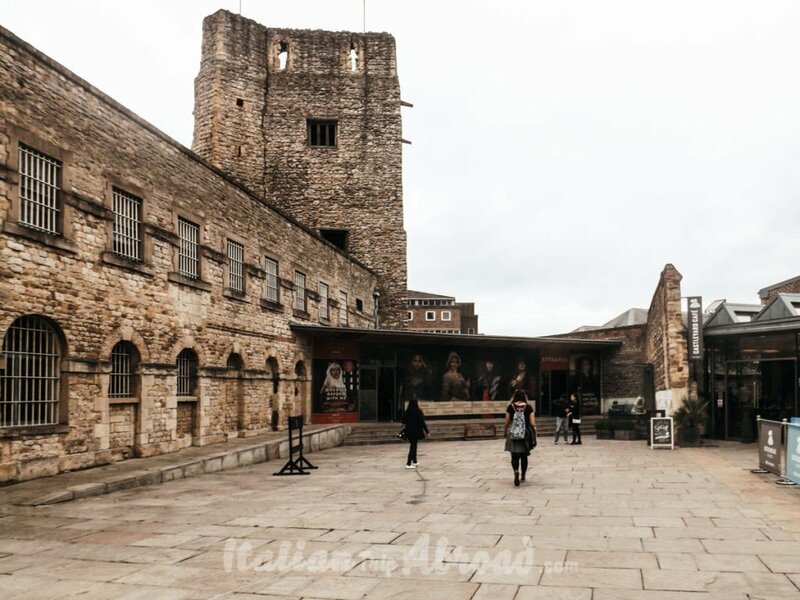 It is one of the best option for your London day trips. 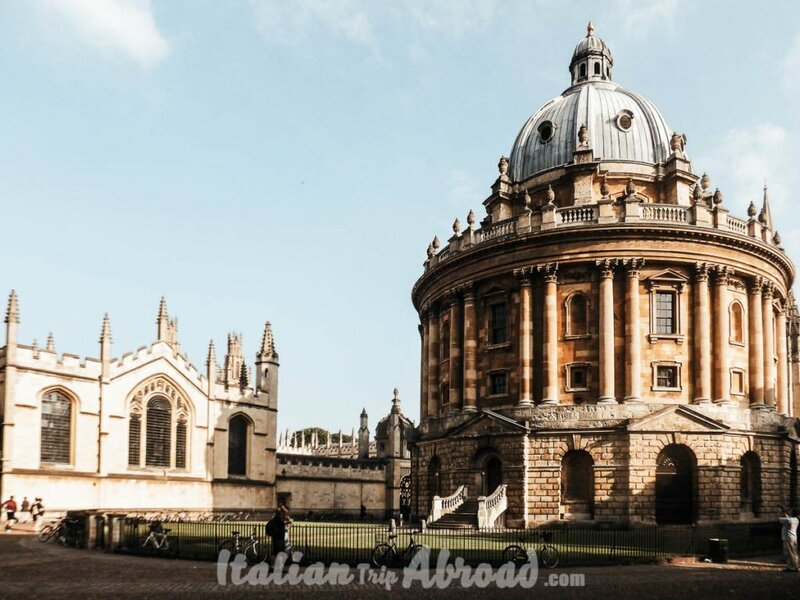 So, what you should visit in your Oxford one day itinerary? Absolutely it depends on the day you are going to Oxford. During the week the city, seems more like a town, all the students are busy, and the life go slowly. During the weekend the place is really touristy and tend to be crowded around the common sightseeing. This list will help you to make your own list, like a self walking tour of Oxford. Oxford is small enough to be visited walking, also there is a nice and cute city centre completely walkable. You are able to visit the internal gardens of the college, just pop inside when you see a green space. Even if Cambridge is the most popular destination for punting, Oxford have its own canal. Rent a boat and go thought the suggestive canals, where on the side there are centuries of history. Close to the old city centre of Oxford there is the Castle. It is a medieval building. The Normans used it as Prison. Today the Castle of Oxford is a touristic place, converted in a luxury hotel, restaurant and bar. As I said before, it is an amazing Bridge between two ancient building of the Oxford University. You cannot miss to visit it. If you don’t find it, don’t worry, it will be happen like us. We were just strolling around the Oxford University area, and we found the Bridge. The structure is insane beautiful and great. You will find it quickly. Unfortunately just few days a week it is open to the public. In your Oxford one day itinerary you need a break. Why don’t stop in the oldest cafe in England? The Grand Cafe’ is in the diary of Samuel Pepys dated 1650. Enjoy your break in this amazing and ancient bar, tasting the typical Brownie and an hot chocolate. Oxford is not that far from London. It is the perfect destination for a day trip from London. You can reach Oxford from London with multiple choice. If you want to visit Oxford from London by car, your journey will take 1 hour and a half, taking the M40 and A40. You will pass in the middle of the Oxfordshire. enjoy those amazing landscapes. If you will reach Oxford from London by train, the journey will take 1 hour from the major London train stations. Our suggestion is to take your train from Marylebone. This is a common request from everybody. As we said before, Oxford is not too far from London. Most of the students of the great University used to go to London in the weekend. Some, also prefer to live in the middle between London and Oxford, due the expensive accommodation of both places. Oxford is just 55 miles away from London, it make Oxford one of the top in our list of day trips from London. There are train at every hour for your day trip to Oxford. It is a common track in England, and especially from London. Our best advice on where to take the train to Oxford, is Marylebone. The station is on the Bakerloo Line of the Tube, it is really easy to reach. It is a small station with link to the Oxfordshire, is never too crowded, and has a lot of serviced in place. In less than one hour you can start your day trip Oxford, sometimes you have to change the train to reach your destination. Check before pay your ticket. Those are the two pin on your map visiting the UK. If you are coming in London for more than a week, visit those two iconic places are the must. I know London has a lot to offer, but even outside of the city there is a lot. The history of the Uk cannot be undarstandable without visit the rest. London is a multicultural city, and just outside the Capital you can find the proper English spirit. You can arrange easily 24 hours in Oxford or one day visit to Cambridge. Anyway from London, you can find dozen of Tours to Oxford or Cambridge. The best options to find out for your next visit to Oxford or Cambridge are the offer by Megabus. The bus to the two cities depart from Victoria Coach Station. At this question, we will reply absolutely both. There is no one more than other. Even if both cities have an authentic British characteristic, both are different. So try to plan in advance your trip and try to stay overnight in one of them and find a journey for the other right the day after. It is easy to find an accommodation in Oxford or in Cambridge, just be aware, the accommodations in these destinations are pricy. This is one of the experience we highly suggest to do. You will miss a lot without looking outside the car window. You will miss the natural landscapes of the Oxfordshire. Your journey will take one hour and half, but we can assure the spectacle is absolutely unique and memorable. 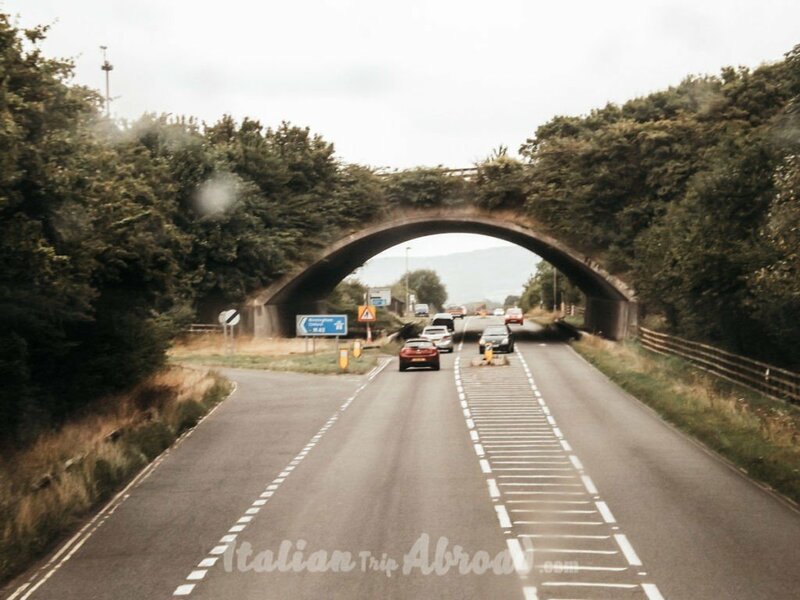 Don’t worry if you are scared to guide in Uk, because of the different way to drive here, you can opt for a bus journey, it will take almost the same time, and the service is really good. You will have all the comforts and don’t risk. Even if you will take a late bus for your way back to London, you will spend a lovely afternoon in Oxford, there are pubs great and warm to spend the time with a pint. Take this as advice just if you are not driving.